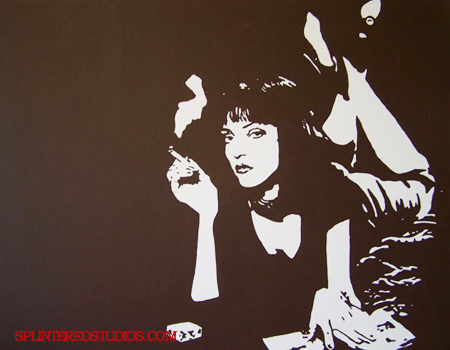 Original painting of Uma Thurman as Mia from Tarantino's Pulp Fiction. 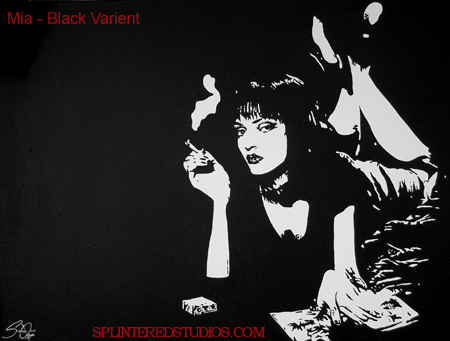 The painting is in high-grade acrylic paint varnished with a matt spray varnish, on a pure cotton box canvas. 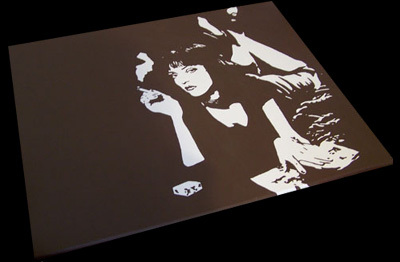 The canvas measures 30 inches x 24 inches on a box canvas of 0.5 inches deep, the sides of the canvas are painted with a wrap around effect, no nails or staples and ready to hang.